The best is always saved for last. 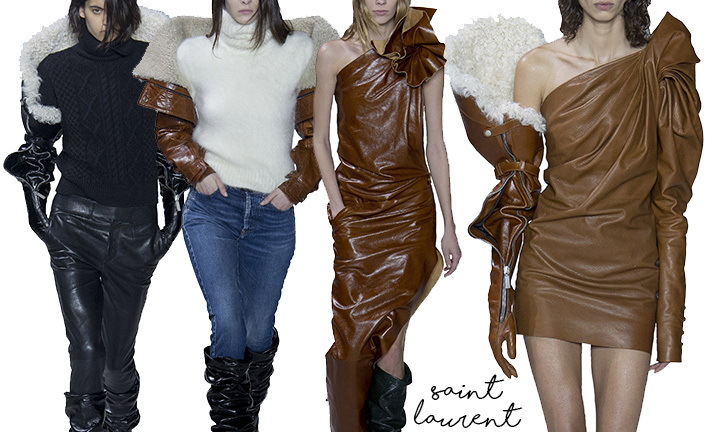 Truer words could not be said for Paris Fashion Week! 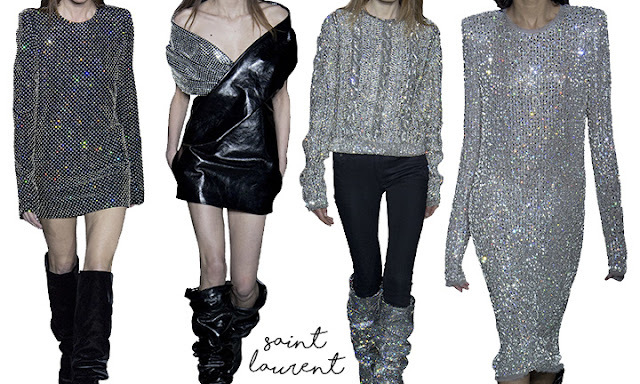 Here is part 1 of my favorites - especially Saint Laurent. Words cannot even express how badly I want (and need) these pieces in my closet right now. 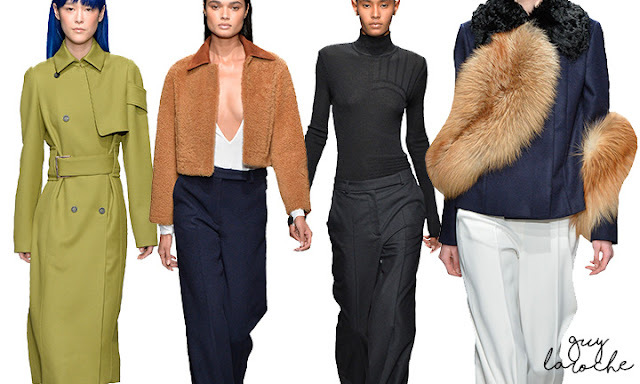 Remember my shearling trending alert? 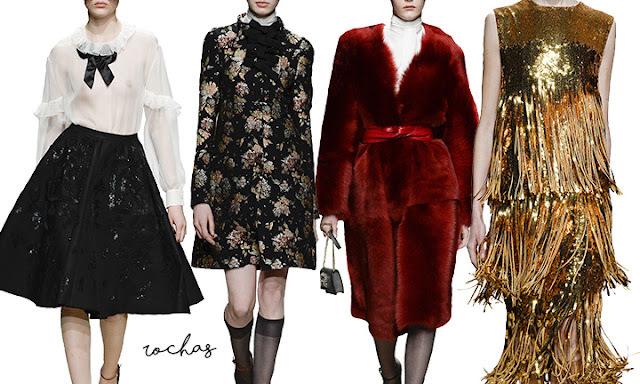 Rochas' gold glitter fringe is every NYE event's best friend. 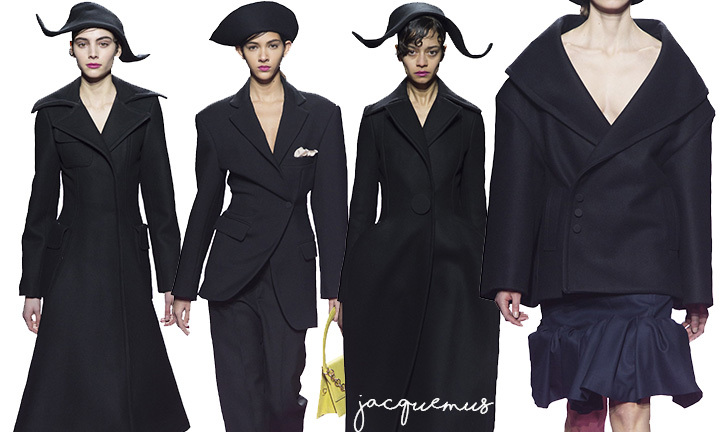 It was nice to see the shapes of Jacquemus come to life in chic coats and jackets that are very Euro chic. And the understated elegance of Guy Laroche. That green coat and blue hair combo is giving me all the feels. 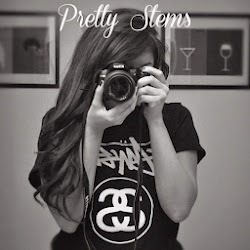 Can't wait to share my part two favourites.